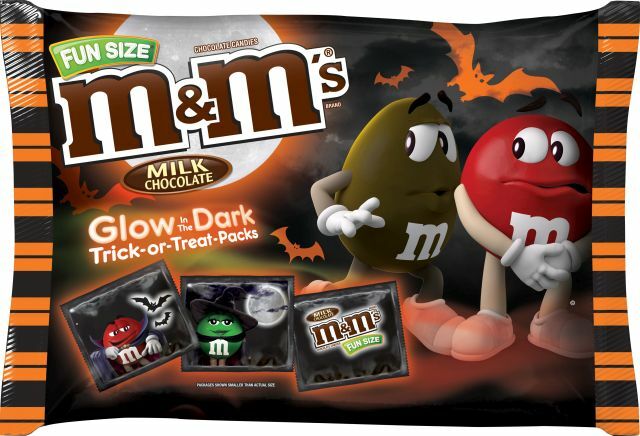 Like Hershey's, Mars, Inc. puts out a number of new and returning Halloween-themed candies for the 2018 season. 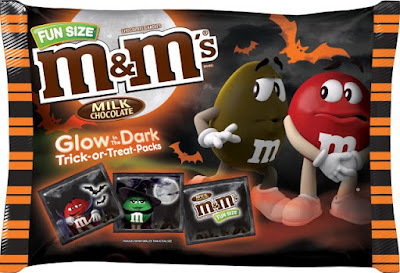 - New M&M's Fun Size Milk Chocolate & Peanut Chocolate Candies Glow in the Dark Packs - The wrappers glow in the dark. The suggested price is $5.49 for a 17-oz bag. - New Skittles Sweet Heat Fun Size - Basically just a new size for the candies that make it easy to pass them out come Halloween. The suggested price is $2.99 for a 9.11-oz bag. - New Dove Promises Pumpkins in either Milk Chocolate, Dark Chocolate, or Caramel flavors - They come wrapped in festive pumpkin foils. The suggested price is $3.49 for an 8.87-oz bag. - New Dove Promises Silky Smooth Chocolate Pumpkins Assortment - A variety pack of Milk Chocolate, Dark Chocolate, and Caramel varieties, all wrapped in festive pumpkin foils. The suggested price is $12.99 for a 24-oz bag. 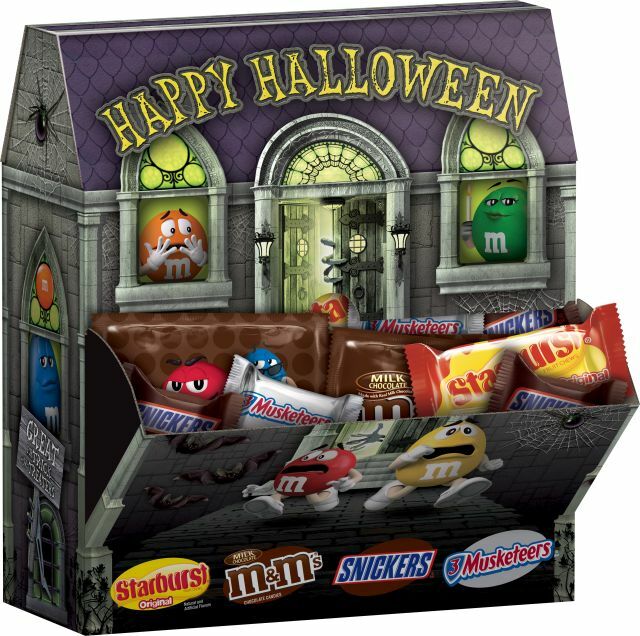 - New Singles Variety Box: M&M's, Snickers, and Skittles (six of each) - A variety box of full-size M&M's Snickers, and Skittles candies. The suggested price is $12.99 for an 18-ct box. - New Chocolate Variety Mix Party Bowl - A plastic pumpkin with an M&M's mascot face filled with Minis and Fun Size candies (includes M&M's, Milky Way, Snickers, and 3 Musketeers). The suggested price is $14.99 for 24.45 oz. - New Variety Mix Haunted House Serve & Display - The box doubles as a Halloween decoration and serving dish. The mix includes Starburst, M&M's, Snickers, and 3 Musketeers. The suggested price is $19.99 for a 60.4-oz package. - New Skittles & Starburst Sweet and Sour Fun Size Mix - Includes 150 pieces (Original Skittles, Sour Skittles, Starburst FavoReds, Starburst Mini Sours) in a box with a Frankenstein's Monster-type graphic. The suggested price is $9.99 for a 70-oz package.